Please give me the opportunity to take care of your pet and you will find a person who you can trust. HOME BOARDING ----------- We are not taking home dog boarding for the moment. Any place at 30min walk from city center or north site of the city is okay. Argentina, rescuing them and taking care of them and search for a good family to give them in adoption. 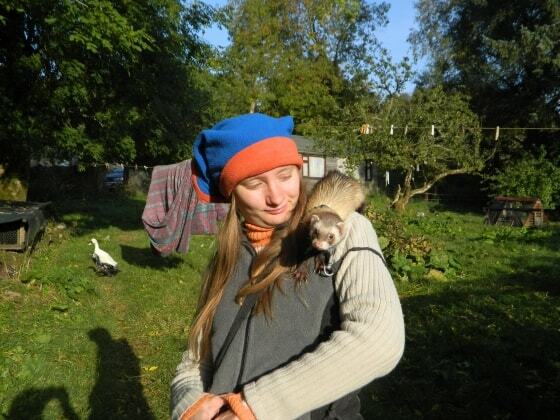 Also in Ireland we worked in a organic farm with a lot of diferents types of animals! We live near Glen Park in Cork city, a very nice place to walk your pet! Thanks again Anabel and Ken 😁. You were great as usual! Anabel and Ken are fabulous. They are great at communicating and are very reliable. They are very gentle people and my Jack Russell, Skippy took a liking to them immediately. I would highly recommend them for dog walking or any other service. We worked in a organic farm, one of our duties was take care of the animals (chickens, ducks, donkey, horses), dogs, cats and exotic pets. Collect eggs, brush the horses and dogs, feed the animals, walk dogs, ferret and donkey. Also we have experience with ill or convalescent animals that require special attention and care, such as medication.